All mostly matching and in cosmoline. straight out of the crate! Some hardwood some laminate, all $269.99 with optional $20 hand pick fee. Shipping not included. 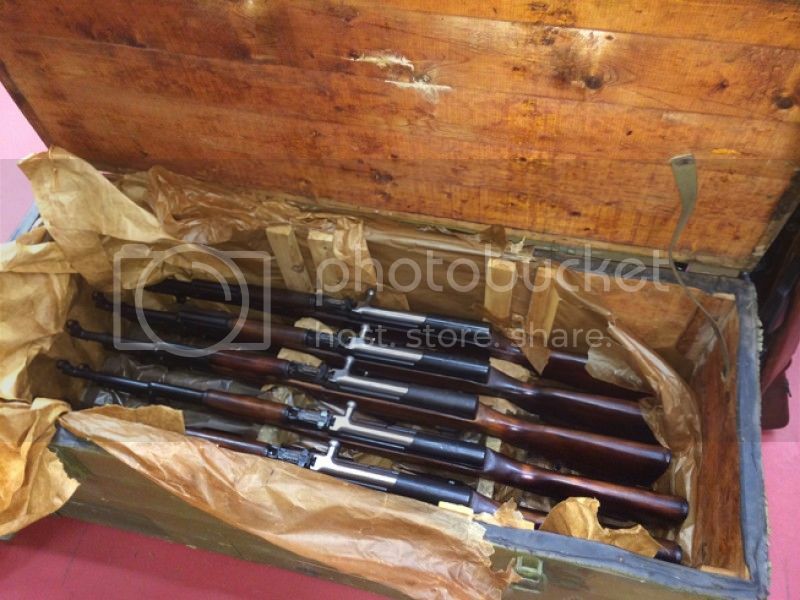 We also received a crate of mosin nagant rifles. Also in cosmo for $249.99 + shipping. We would be happy to receive orders by phone or pm, by cc or emt. Call us at 705-474-5920.
any at the Markham store? Are these blued or bbq paint?